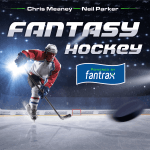 Welcome to the final edition of the Waiver Wire Report for the 2018-19 season. We’ll be taking a look at the top players you might find on your waiver wire, while keeping an eye on the remaining schedule. RW Pavel Buchnevich, NYR (49%): Many expected the Russian winger to have a breakout season, but that hasn’t been the case. Early on, Buchnevich found himself as a healthy scratch on a few separate occasions. But now he’s producing like we expected. He’s riding a five-game point streak, and has eight points in his last 10 contests. He’s playing on the top line with Mika Zibanejad, filling the void left by Mats Zuccarello. Not only is Buchnevich scoring, but the Rangers have the best schedule of any team down the stretch. New York plays Friday, Sunday, Monday, Wednesday, Friday, and Saturday. They have games on all the quiet nights of the NHL (except Saturday April 6 when 30 teams play). This allows for the greatest roster flexibility you could ask for. 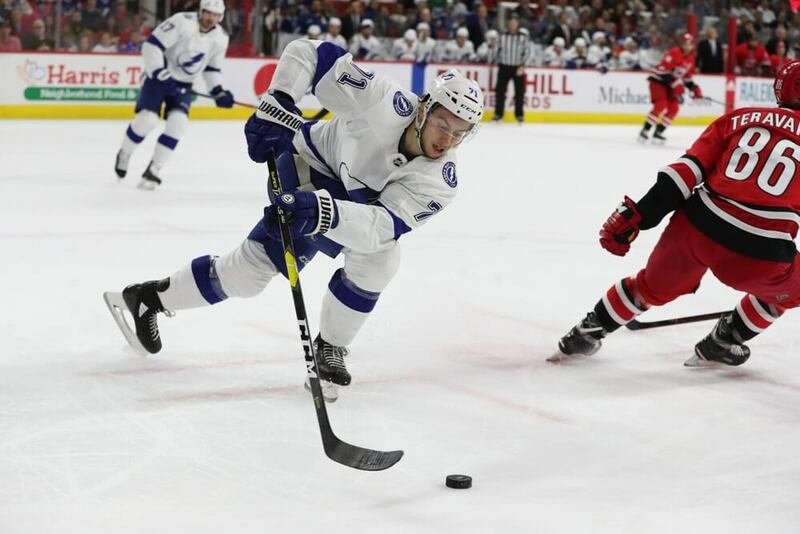 C Anthony Cirelli, TBL (46%): The 21-year-old centerman is currently riding a six-game point streak, which includes four goals and three assists. That puts him up to 18 goals and 37 points on the year – respectable numbers for the rookie. He also has five shorthanded goals and five game-winning goals to his name, if your league rewards points for those efforts. The Lightning have already locked up the President’s Trophy, so it wouldn’t be surprising to see the team rest some of their stars down the stretch. That would mean more ice time and stronger linemates for Cirelli, making him an even more appealing option. RW Bryan Rust, PIT (35%): Rust has played five times since returning from a lower body injury that cost him nine games. He has four points in that time frame, and has averaged 19.37 of ice time – a hefty increase on his season average of 15:51 per game. He’s playing on the Penguins top line with Sidney Crosby and Jake Guentzel. Those two can certainly set Rust up for more scoring chances, while Rust dishes out some hits (106 hits through 67 contests). He has 35 points on the calendar, and could surpass last year’s career high 38 points. The Penguins have five games left to play, but they have the rare Friday and Sunday combo, skipping Saturday March 30. With 24 teams playing that Saturday, you get to maximize your man-games this weekend. RW Zack Kassian, EDM (16%): Kassian has a point in his past four consecutive games, with three of them being goals. That brings him up to 25 points on the season, and makes this his most productive year since 2013-14 when he scored 29 points with Vancouver. He’s hitting a ton more in Edmonton though, with 180 hits on the year (with 129 and 201 hits in the two years prior). However, the most appealing aspect of Kassian is that he’s playing on a line with the dynamic duo of Connor McDavid and Leon Draisaitl. That fact alone warrants taking a gamble on Kassian. C Teddy Blueger, PIT (12%): Meet the latest player to thrive in Pittsburgh’s top six forward group. Blueger has appeared in just 23 games for the penguins, but has 10 points, with six of them being scored in the past nine outings. Most impressively, three of those points were generated from the penalty kill. He is getting an expanded opportunity with Evgeni Malkin (undisclosed) sidelined indefinitely. Blueger is playing on the second line alongside Jared McCann and Phil Kessel. He’s also racked up 47 hits in his short time with the big club. D Radko Gudas, PHI (39%): The rugged defender has tallied two goals and three assists across his past seven contests. The offense is nice, but it’s his physical game that makes the biggest difference. In 73 games he has 59 PIM, 128 blocks, and 248 hits. Combine that with his 20 points and you have a blueliner with value in leagues that count hits and blocks. The downside is that the Flyers have just five games remaining. D Dylan DeMelo, OTT (23%): DeMelo has seen a surge in value recently, posting a goal and five helpers during his past five games. His ice time has gone up considerably as well, with his ice time from the past four games being 22:04, 24:21, 26:23, 29:37. Meanwhile his average ice time throughout the season is 19:13. He has 21 points on the campaign, 112 hits, and 119 blocks. The Senators have six games left, with two of them being on the more quiet nights, Monday and Wednesday. Perhaps snagging one of these guys will be what puts you over the top, and crowns you league champion. Hope you enjoyed the Waiver Wire Report!